JONAS TV PERFORMANCE ON “BELLE ET BUM” TONIGHT! Don’t miss Jonas performing his new song “Breathing” on TV TONIGHT, when he appears as a special guest on Belle et Bum at 9:00 Pm (EST). 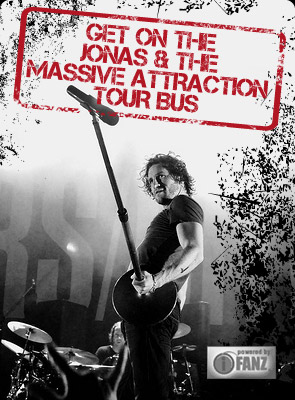 Jonas & The Massive Attraction’s forthcoming new album “Live Out Loud” is set for release in Canada in April.